Not on order form - web-only special! Printed directly onto canvas material, these prints are printed 2" larger on each side and hand stretched around 1 1/2" stretcher bars. Hangers and bumpers are applied to the back and a gel coating is applied to protect your image. Item will ship separately. Please allow 4-6 weeks for delivery. Kodak's new Pearlized® Paper is included in all Deluxe Packages. This new paper infuses pictures with an iridescent look that adds amazing detail and incredible depth. It's simply the BEST photographic product you have ever seen! 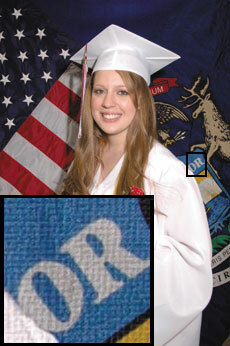 Memories May Fade, But Not Your Graduation Photos! Safeguard your keepsake with ultra-violet protective laminate, unconditionally guaranteed for five full years. 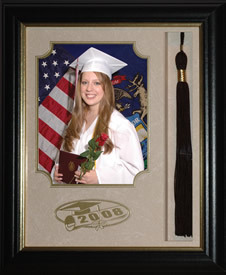 Lamination film adds a glossy finish to your photos and resists fading, moisture, grease, and fingerprints. Don't forget friends and family when you order. 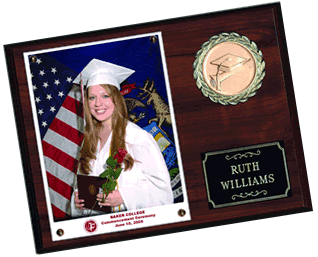 Display your graduation photos in style by placing them in one of our attractive charcoal folders. Accented with gold embossing, our portfolio folders elegantly frame your photograph. Our portfolio folders make any photograph into a special gift for family and friends, and they also look great when used as a matte inside a formal frame. 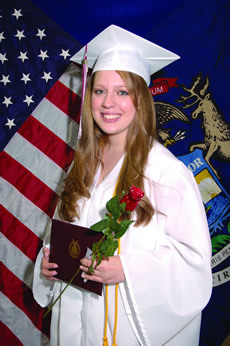 * All 8 x 10 graduation portraits and packages include portfolio folders. 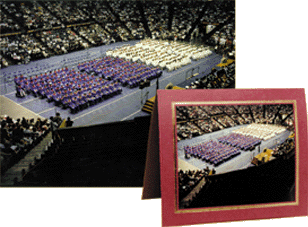 Whenever possible, we provide an overview shot that captures the pageantry of the day in a beautiful, color photograph. To see if this product is available from your ceremony: Please look at the order form we sent by mail. The last line of the "Order Here" box will indicate if the Class Overview is available at your school. If so, then you may submit your request by mail or order on the web. 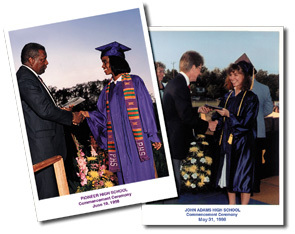 Did your graduating class have a class portrait made during the school year? If so, and you didn't get a chance to order, copies are being made available one last time! 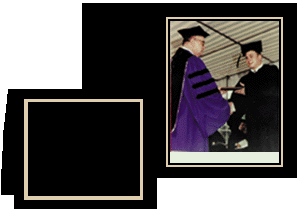 You can order your Class Picture at the same time as ordering your individual photos from commencement, or you may order them separately. 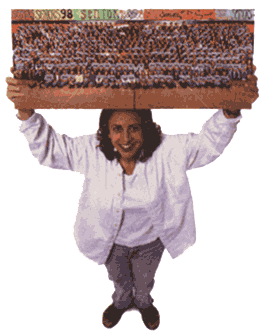 To order your Panoramic Group Picture, simply log in and add the panoramic group picture to your shopping cart. No such offer will appear for those schools where we did not take such a photograph.